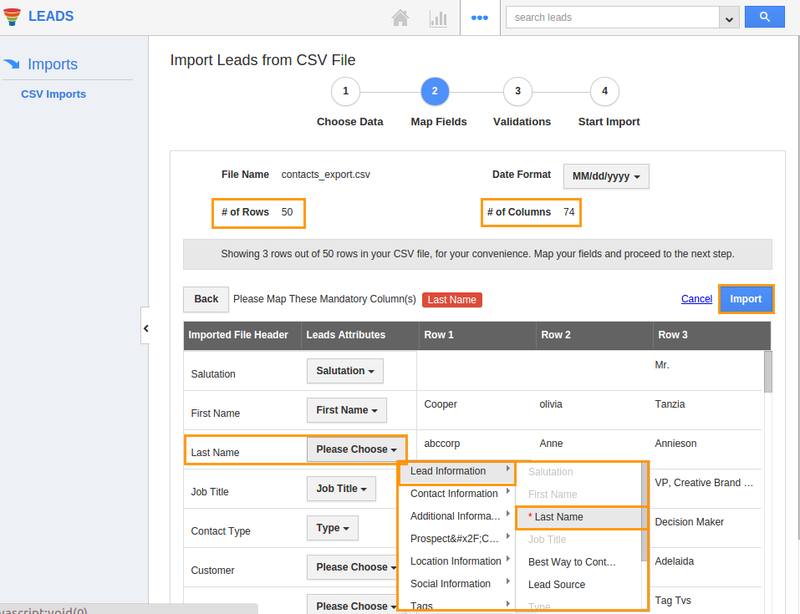 How do I Import Leads from CSV File? 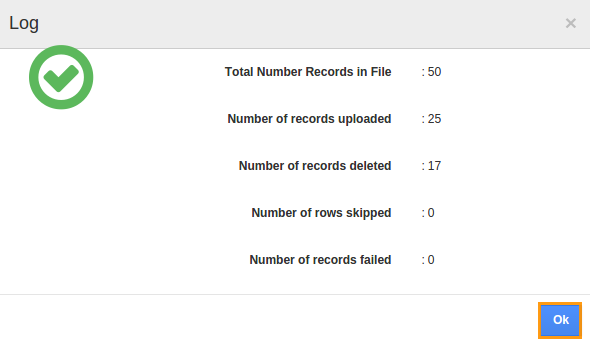 The CRM's Leads App allows the user to import 5000 records at a time with a few mouse clicks. Lets quickly go through the same. Click on "New Import" button. Click on "Browse" button and select CSV file from your computer and click on "Next". 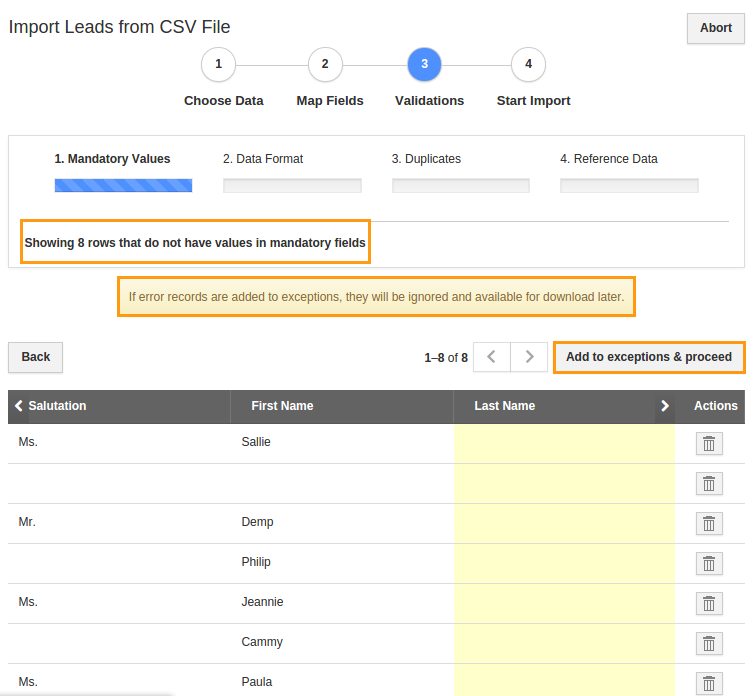 Map lead fields to respective CSV fields. Make sure to map the custom mandatory fields. 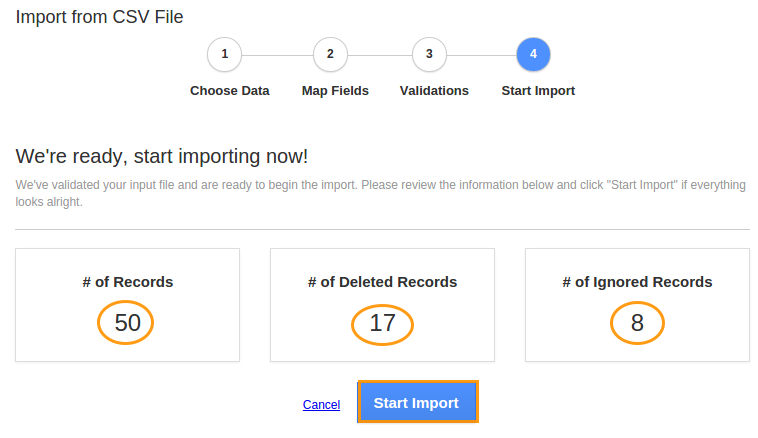 After mapping the all fields as shown in the below instance, hit the "Import" button to import records. If you want to continue, Click on "Add to exceptions and proceed" button or Click on "Back" button, to include mandatory fields.